Affordable barcode inventory software provides helping hand for all small and large scale organizations such as Retail sector, Healthcare, Telecom industry, Postal services, Price item marking, Automobile, Transportation, Ticketing, etc to generate barcode images in few clicks of mouse. Advance barcode creator application effectively generates customized barcode labels by using different designing object features such as Texts, Lines, Pencils, Curve, Ellipse, Rectangle etc. 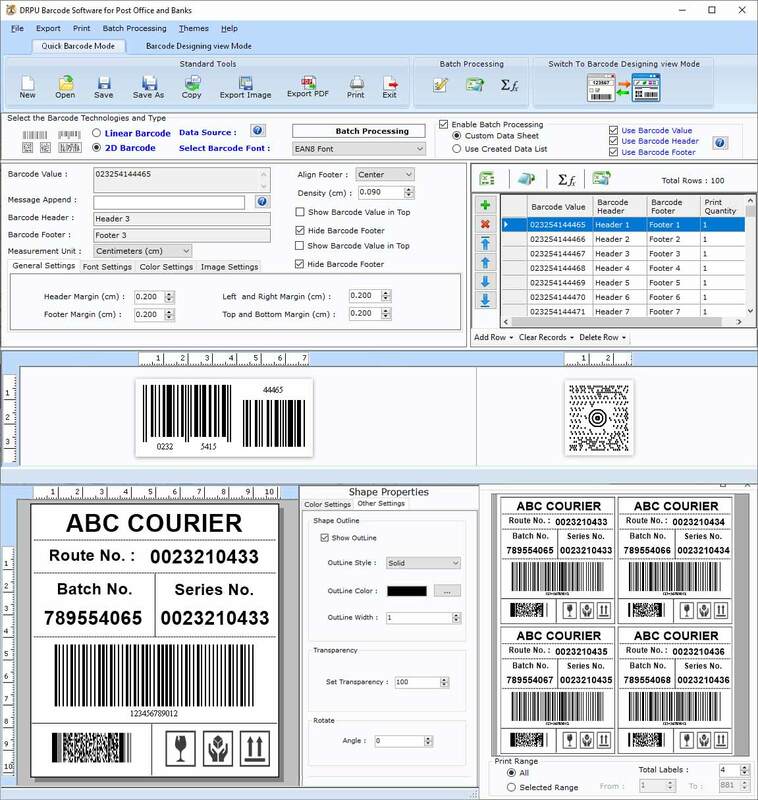 Best barcode label maker program facilitates users to copy and paste created barcode images in various MS Windows application including Excel, Word and Paint etc. Barcode printer utility provides option to create barcode labels with or without specifying any barcode value and caption. Advance barcode labeling tool easily works on all major versions of Windows operating system including Windows 7, XP, Vista, NT, ME, 2000 and 2003 successfully. Barcode maker application facilitates users with flexible barcode settings which enable them to easily alter size, color, shape and other dimensions of barcode labels. Best barcode labeling program streamlines with user friendly GUI interface to easily understand the functionality of software without acquiring any knowledge of special technical skills. Barcode labeling application helps users to easily install/uninstall the software as per requirement. Features: * Barcode generator software facilitates users to create bulk amount of barcode labels by using sequential, random or constant series option. * Best barcode label maker utility creates colorful and printable barcode labels with support to all major printers and scanners. * Reliable barcode printer tool facilitates users to import barcode list from computer system saved in text file format for further use. * Advance barcode creator program provides option to generate colored barcode labels by using advance color settings.